This book starts with a dreadful concept that haunts many of us: what if they lied to us? What if everything you thought that was true, ended up being an elaborate lie supported by politics and their powerful media? What if your history wasn’t yours? The history that makes you who you are. Your values, your ideas, your individuality. Your identity. Your sense of belonging. 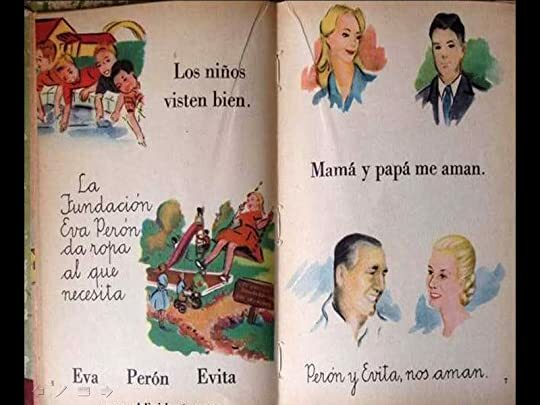 ¿Y si la historia nunca fue como nos la contaron? What if history wasn’t like they told us? A bitter pill to swallow, let me tell you. However, this investigation by journalist Silvia Mercado aims to demolish all the Argentine historical myths, unveiling the only thing we should always search for: the truth. Facts. The reality that is far away from points of view, wishes, convenient inclinations, fanaticism. That ugly truth that threatens your sense of security and faith in everything you thought was right. Easier said than done. That is why this is not a book for everyone. I would recommend it only to those who are willing to put the official story and prejudices aside and have an honest desire of knowing the truth, even though if there is a possibility that it might hurt you and your surroundings. Someone blinded by that fervent adoration for a human being whose job is to be a politician (things I will never understand) probably will not find it useful and will run to read La Razón de mi Vida while holding a paper bag and hyperventilating because his safe way of understanding politics, his safe way of living, actually, has been threatened. The book. In terms of structure and order, the book is flawless. You even have an index of names at the end of it, so you have easy access to any subject. In terms of writing, it is clear and straightforward. The foundation of a serious investigation is its sources. So, you will also find a list of reliable sources to back up the author’s statements. It is a well documented recap about the face of Peronism that many patriots refuse to acknowledge. Because that is the thing with the ruling party of the last years: if you are not a Peronist, you are not Argentine. …era un enemigo de la Patria y no tenía derecho a nada. 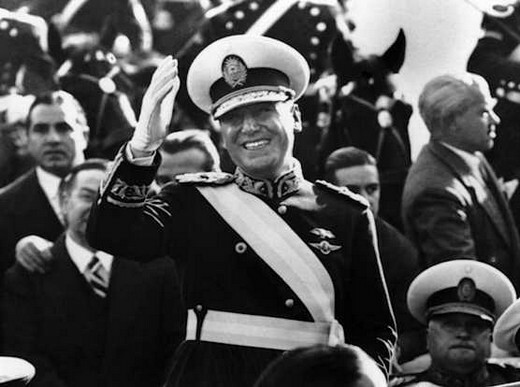 In 1946, Juan Domingo Perón, a military officer, became president. He was re-elected in 1952. But his origins were not so democratic. He was involved in the 1943 Argentine coup d’état that the United Officers’ Group (GOU) made possible, and was the Vice President of the de facto government from 1944 to 1945. 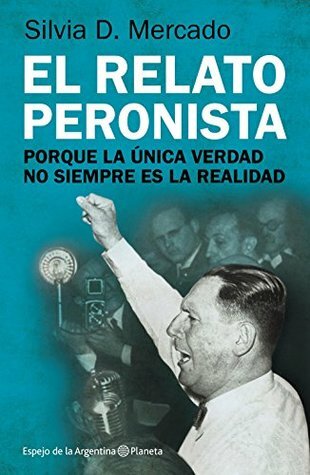 During Perón’s administration, if you were not a Peronist (political movement based on his persona), you were persecuted, tortured and, according to the case, killed. Yes, killed. And yes, it was a democratic government. Now, times have changed a little, so you may face endless discussions with fanatics (life is too short for that) but, under the current Kirchnerist regime—that finds its roots in the Justicialist Party founded by Perón—you may also face the removal of the government social help if you have, trouble at work and, if you are a renowned person, the persecution through official media or even the collecting agency. That is what happens when presidents become idols and you cannot question those who know what you want and need. The long tradition of personalizing power. They know best, capisce? Despite some circumstances that mitigate the impact, some things are too common nowadays. There are many similarities that you cannot express without being called “gorila”, the stigmatizing word that the unpatriotic receive. The little we have learned after so many years. It is certainly frightening. In this work, there are some notions concerning the context of those times that are only mentioned by the writer but not explained with details and, sometimes, not explained at all. It is understandable, since if she did, there wouldn’t be enough trees to make the required amount of paper to describe all that. Plus, as a reader, I am grateful because that allowed me to do my research. There were some things that I did not remember from my History lessons, so it was beneficial for me. And many that I did not know. One becomes a part of the process, in some way. Lo que Perón le dio a los sindicatos fue un rápido ascenso al poder, a cambio de usarlos como herramienta política personal. – censorship; control of the media to silence every possible scream (foreign newspapers were the key to reach to that conclusion). —Pero, general, no puede decirme a mí que lo de las torturas se trata de una infamia. —¿De dónde saca que no lo es? —Porque a mí me torturaron, general. —But, General, you cannot tell me that tortures are vicious lies. —Where do you get the idea that they are not just that? —Because I was tortured, General. Let us not forget that we are talking about a democratic government. Okay, shady elections but elections nonetheless. And I know that a somewhat manipulated election does not represent democracy at its finest. But… elections. And now I dare you to count how many times I wrote “elections” just to show you my point. In any case, in a perfect-sunny-puppy-make-believe world, assuming that those elections were fair, the following policies of that administration violated basic principles of what democracy was and is supposed to be, anyway. Just like the aforementioned situations. So, here we are. I must admit that I used to love the romantic idea of kingdoms. I became quite interested in English history when I was a teenager. The idea of distant realms, their laws, their customs, their battles, their views on religions, their caprices that created new laws and religions, the intrigue, their conspiracies, even the clothing… Yes, I was a nerd. Yes, I still am. Anyway, it is never too late to rethink our behaviors, our habits, our perspectives. Books tend to help us on that particular aspect. For some people, ignorance is “bliss”, but it also constitutes a state of dangerous blindness. Something that will certainly lead to blatant manipulation. That is why education must be the fundamental base of a country and, in countries ruled by populism, that cannot happen. Their strength lies in ignorance. Only knowledge can create a free mind. Only knowledge can set you free from political manipulation. Aquellos que no pueden recordar su pasado están condenados a repetirlo. * Photo credit: Juan Domingo Perón via Infobae. Imagen del libro Evita, de Graciela Albornoz de Videla. Editorial Luis Lasserre SRL / via Historia del Peronismo. The kids are well dressed. The Eva Perón Foundation gives clothes to those in need. Mom and Dad love us. Perón and Evita love us.